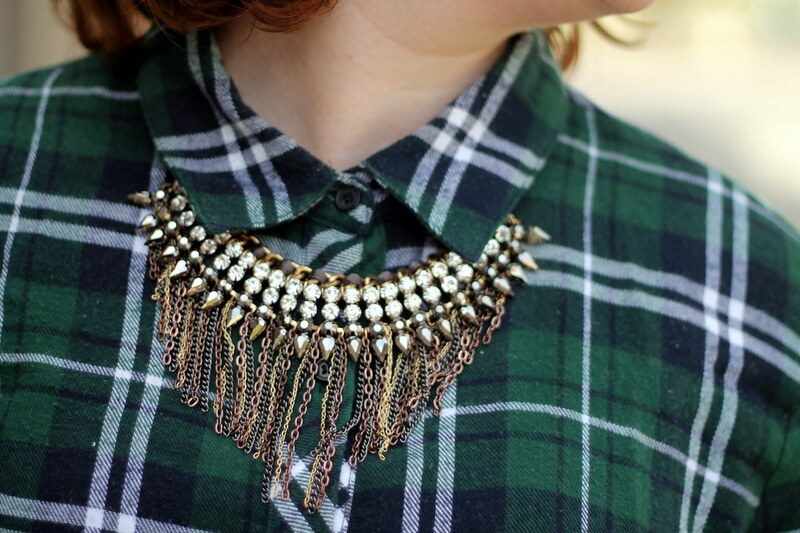 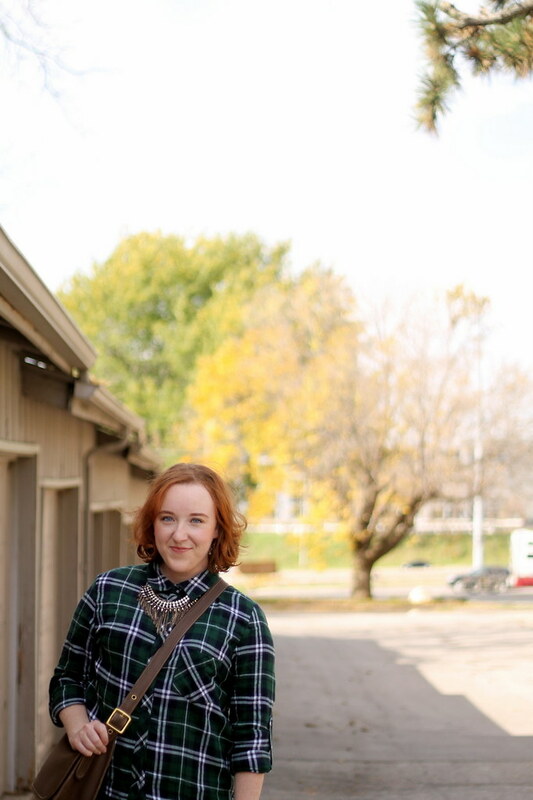 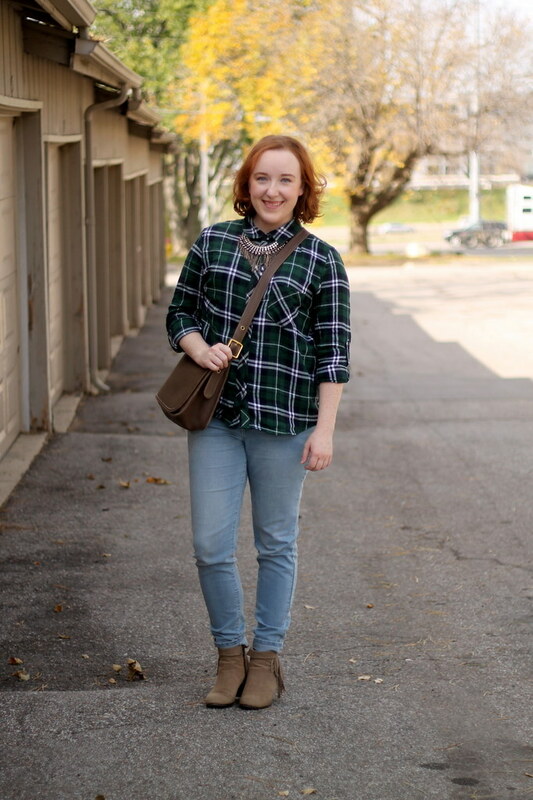 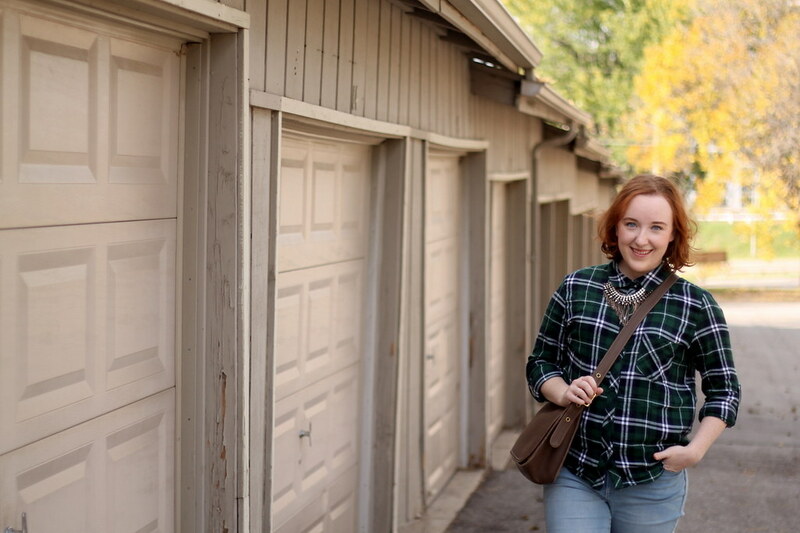 If I could wear this flannel shirt or one like it almost every day during the cooler months, I would. 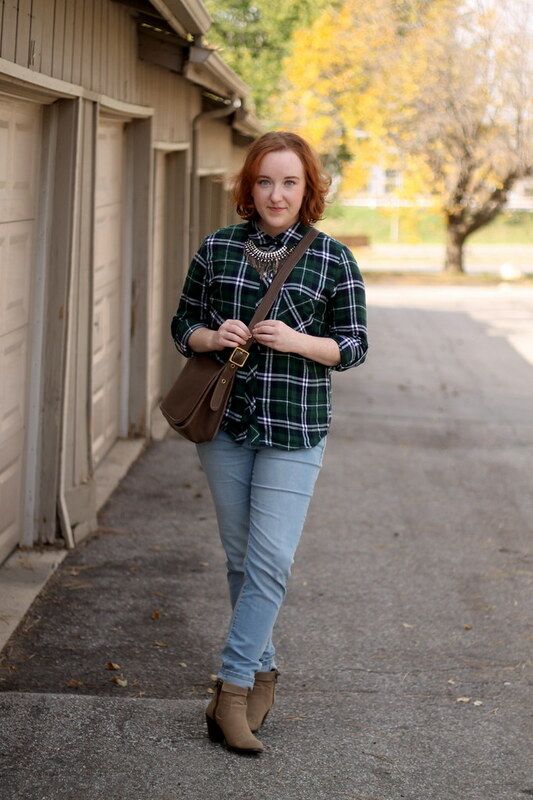 I think they can be so versatile, either layered under a sweater for a fun take on a preppy look or worn unbuttoned under a cargo jacket with distressed jeans for a slightly grungy look. 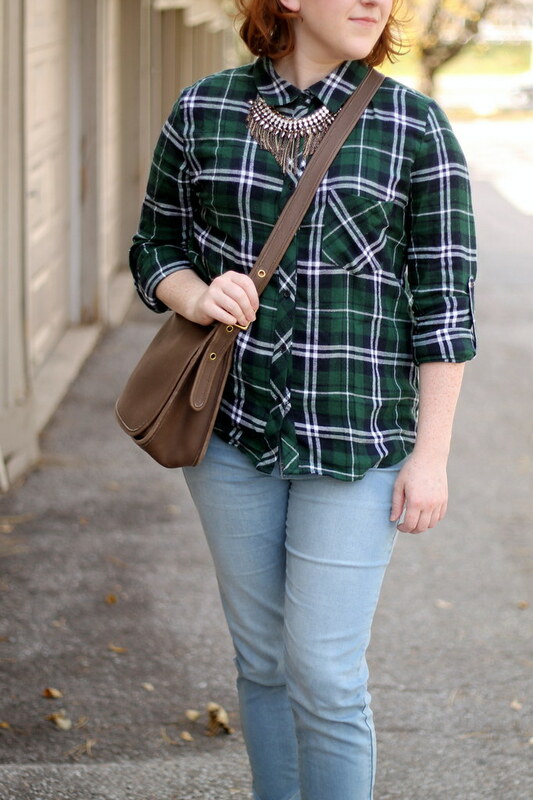 I went for the super simple today, with light-wash jeans, fringe boots and a new necklace (found in-store at Loft for an additional 50% off — similar one here).